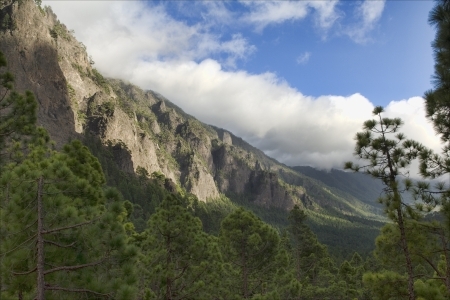 Discover what to do and see in El Paso, on the island of La Palma. El Paso is a municipality located in the upper Valle de Aridane, bordering with municipalities as Caldera de Taburiente, more than 650 meters above the sea level, on the central region of La Palma. El Paso holds more than 85 square kilometers of woods and a few more if we’re counting the region of the Caldera de Taburiente itself. The major part of its inhabitants live on the city’s historic centre in typical houses always adorned with flowers and surrounded by beautiful trees. 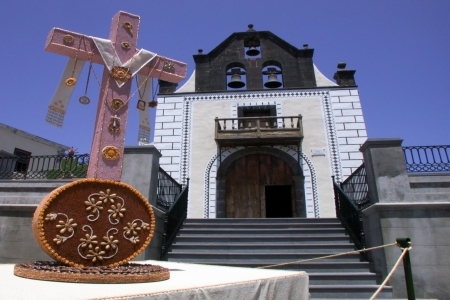 If you’ve decided to spend your holidays in La Palma you ought to know which are the must-see sites on this region. For example, you shouldn’t leave without visiting the Cumbrecita Viewpoint and the Caldera de Taburiente a site proclaimed National Park in 1954 that has a modern visitor’s centre. We should also highlight the presence of prehistoric paintings carved on the Caldera de Taburiente and on the Pico Bejenado themselves. Here you’ll also find the perfect place for hiking and, only with a few hours walk, you might reach the summit of Pico Bejenado and see one of the most beautiful views in the whole Canary Islands. The theme park Jardín de las Aves, Birds Garden, is also a very interesting site inside El Paso.